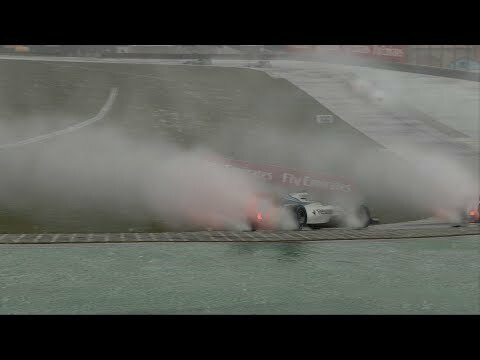 Mod created to simulate tire wear during the race, has two variations Dark and Clear! The mod displays worn tires based on age and durability of each tire, very different from working with Pirelli until now, because in the 80's the wear was minimal, contains tires 90's too! Kadosh54 ( La Plata ), Kenken, Roberto Costa, Ryder25, ML2166, Warok, Tommi-TAG, Rini Braat, T46D, Carl Hughes, camopi, Nicolas Vial, Strahil Kotlarov, kimi81, karbinder, chargingcar, mungopark, REGiSTERED, funrace, ratedxr, vitor batista, jason1968, WarDog88, kelaroost, The entire Community! Mod criado para simular desgastes de pneus no decorrer da corrida, possui duas variações Dark e Clear ! o mod exibe pneus desgastados com base na época e durabilidade de cada pneu, muito diferente dos trabalhos com a Pirelli até aqui, pois na década de 80 o desgaste era mínimo, contém pneus da Década de 90 tambem ! Kadosh54 ( La Plata ), Kenken, Roberto Costa, Ryder25, ML2166, Warok, Tommi-TAG, Rini Braat, T46D, Carl Hughes, camopi, Nicolas Vial, Strahil Kotlarov, kimi81, karbinder, chargingcar, mungopark, REGiSTERED, funrace, ratedxr, vitor batista, jason1968, WarDog88, kelaroost, A toda a Comunidade !